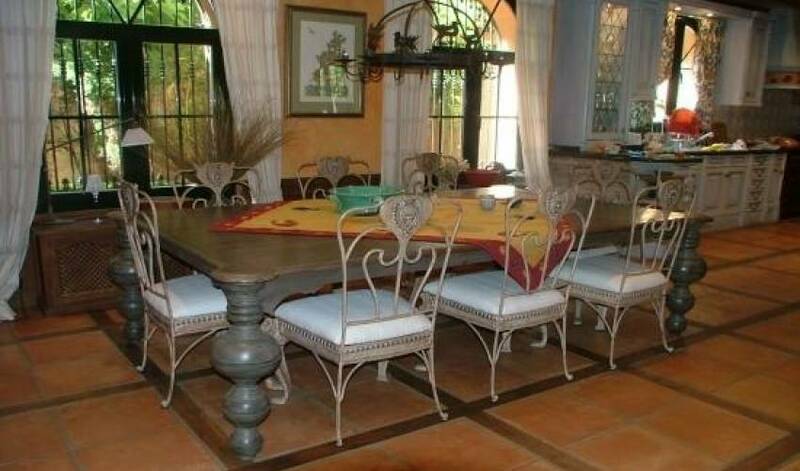 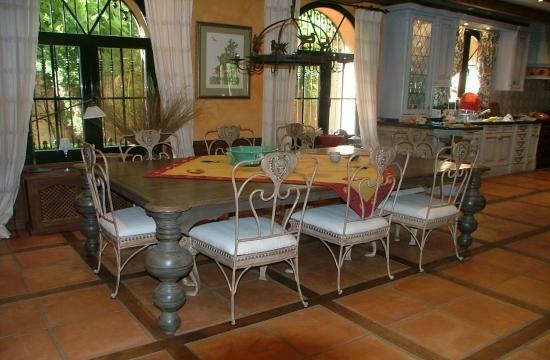 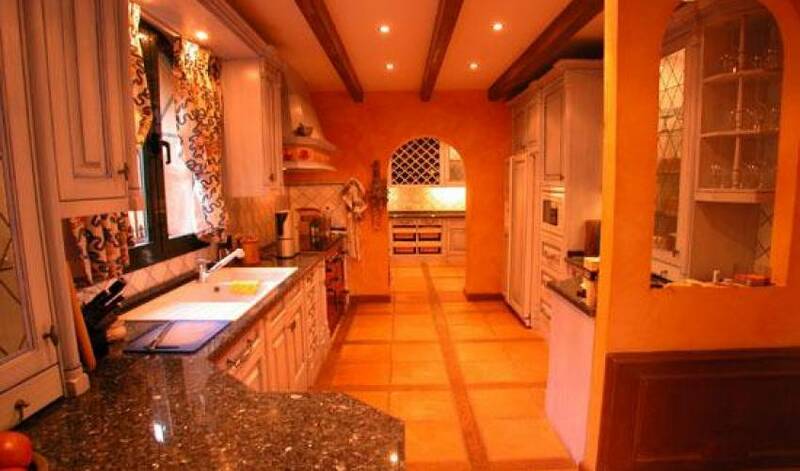 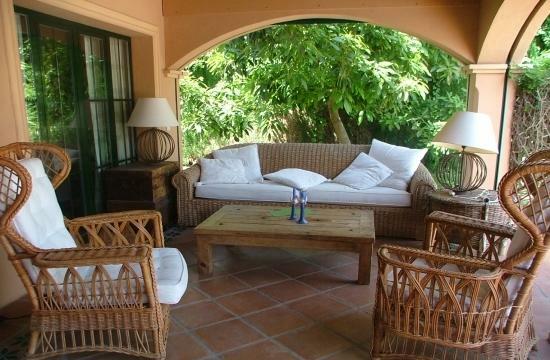 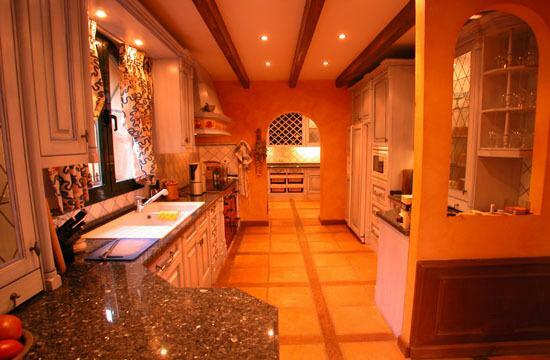 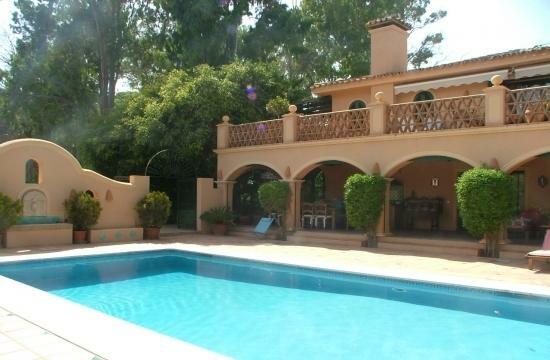 An elegant second line beach villa, situated east of Marbella in Guadalmina Baja. 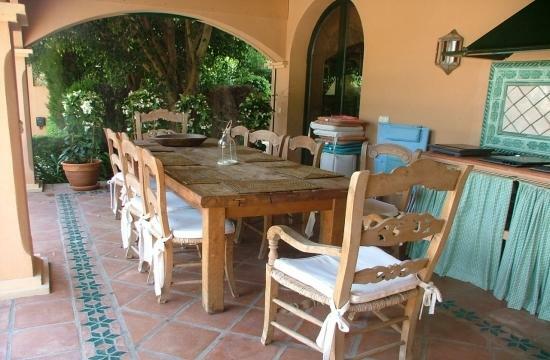 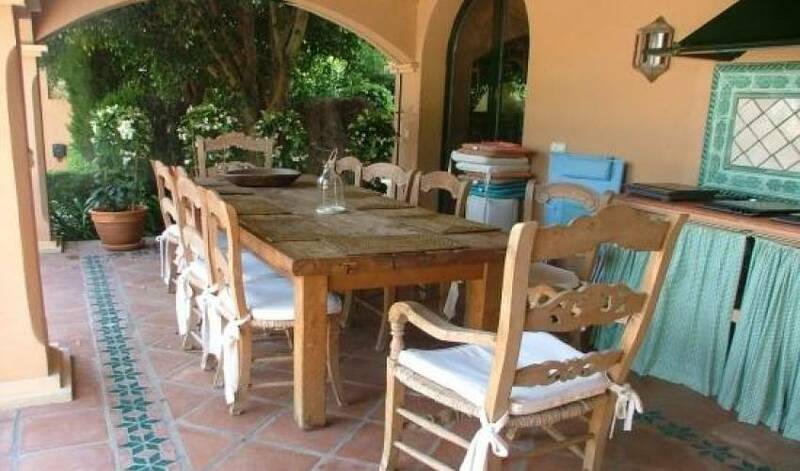 This rustic andalucian style villa is decorated with a modern touch. 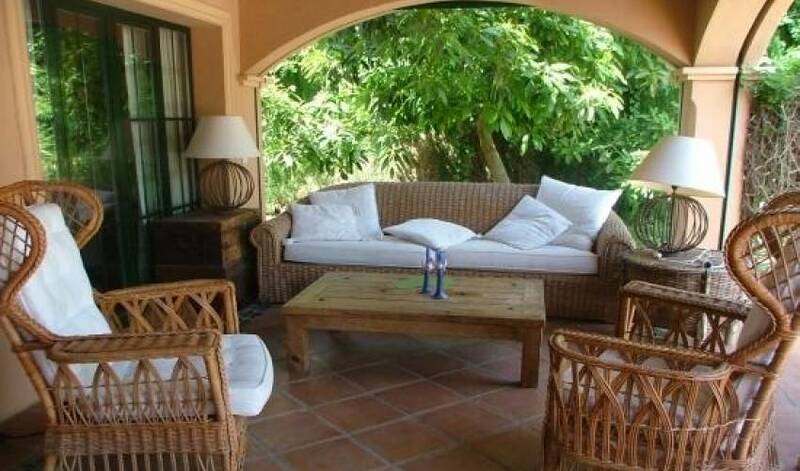 The main house offers 3 bedrooms and 2 bathrooms and a large open living room divided in three sections; TV room, sitting area and dining area. 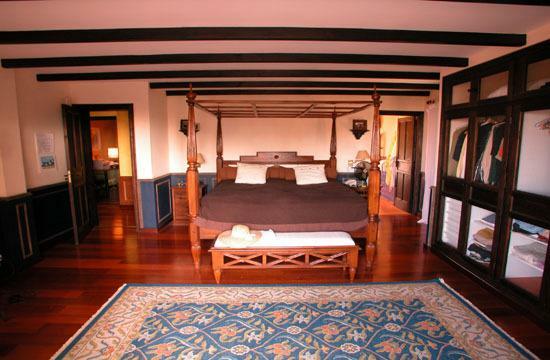 Two guesthouses each with en-suite bathrooms and both with small kitchen and private entrance. 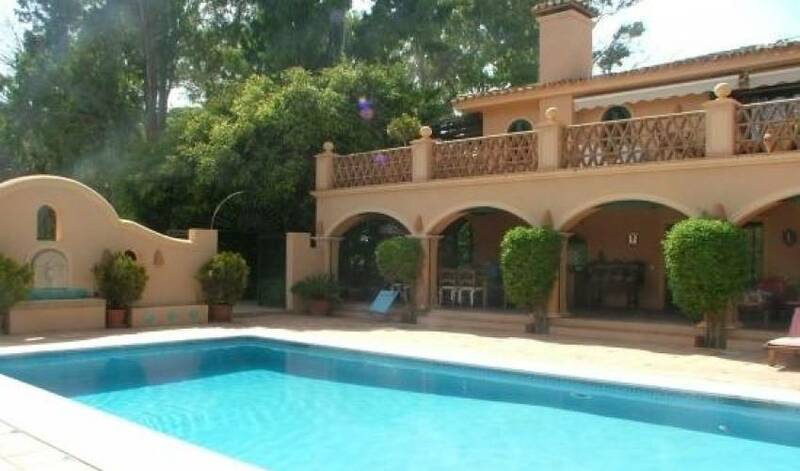 Mature well maintained garden with swimming pool. 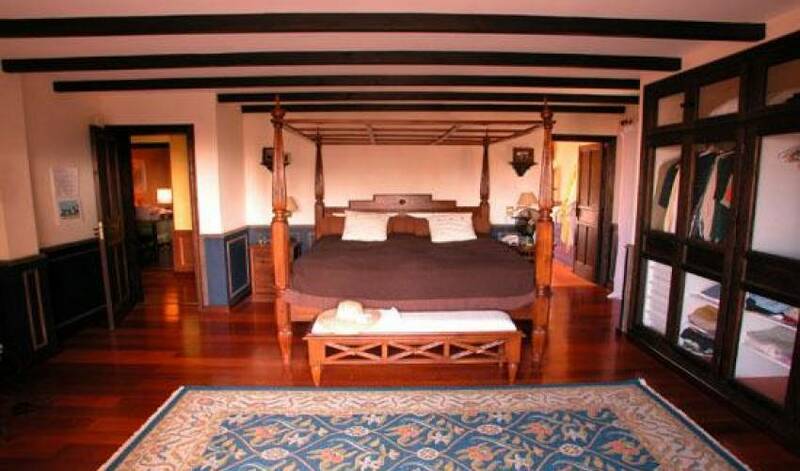 Minimum booking of two weeks.